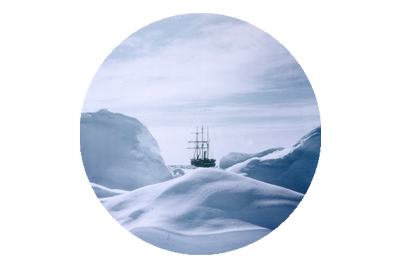 A wonderful collection of photographs of Captain Robert Falcon Scott’s Terra Nova Expedition, from the lens of Herbert Ponting. 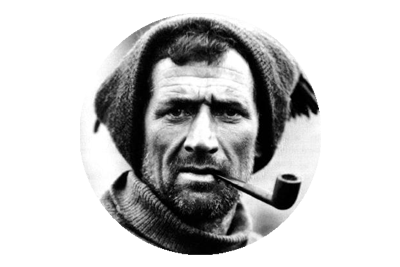 Tom Crean was one of the members of Scott’s depot-laying team that were tasked with establishing a supply route along the Barrier, that would be used by Scott and his Polar party, when they embarked upon their South Pole journey. 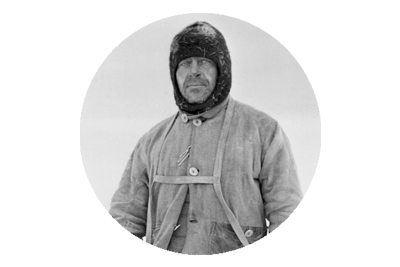 The aim was to lay supplies at strategic points along the ice shelf, from Safety Camp, at its edge, all the way to 80º S, where the largest cache – One Ton Depot would be located. 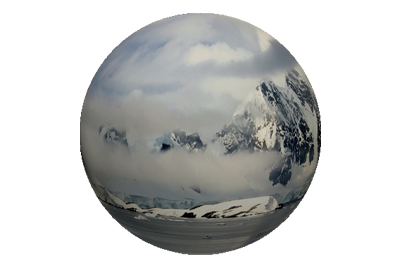 The Summer melt of 2013 at Scott’s Hut, at Cape Evans, Antarctica, yielded a long lost artefact from the Terra Nova Expedition. A member of the Antarctic Heritage Trust ( New Zealand ) discovered the notebook, which was owned by George Murray Levick, and had lain undiscovered, in the ice, for more than 100 years. George Murray Levick had joined the Terra Nova (1910-1913) as the expeditions surgeon and zoologist, and he also took many photographs during his time in Antarctica. His notebook was a “Wellcome Photographic Exposure Record and Dairy 1910”, and he had recorded details of these photographs, within, such as exposure times, subject matter and dates taken. Many of the images were taken, when Levick was part of a six man team, known as the Northern Party, who had ventured northwards along the coast, conducting scientific observations.